Oh…the woes of a Pirates fan. 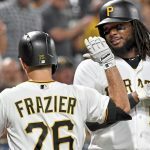 Following their victory last Sunday against the St. Louis Cardinals at Busch Stadium, a 19-inning thriller headlined by Pedro Alvarez’s homerun and Andrew McCutchen’s two-run single, it was thought that the momentum had been built for a strong finish to the road trip which would carry over to a productive home stand. Unfortunately, things couldn’t have gone in a more opposite direction than what has transpired over the last week. 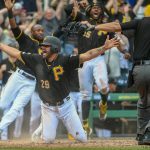 The Pirates were swept by the San Diego Padres in three games at Petco Park, and returned home this past weekend, dropping two of three to the Milwaukee Brewers at PNC Park. They were outscored 27-17 in that six game stretch against the Padres and Brewers, including a 7-0 drubbing yesterday in front of a near capacity crowd. Andrew McCutchen is in a massive slump, the bats of Neil Walker and Pedro Alvarez have fallen inconsistent, while Clint Barmes and Rod Barajas are still utterly frustrating. Garrett Jones remains the only bright spot this month with a bat in his hands. As for the pitching, slumps have hit the starting rotation as well. A.J. Burnett has limped his way through his past few starts, while James McDonald has been up and down recently. Jeff Karstens had a terrific start on Saturday, but was pulled from the game due to injury. And what can we say about Erik Bedard? His loss yesterday was his league-leading 14th of the season. Ouch. 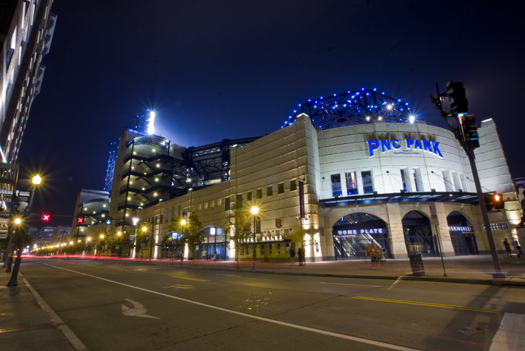 Yes…Clint Hurdle is right…they need to play better to win. It’s been eight days since the Pirates and Cardinals played that 19-inning marathon game at Busch Stadium. The Bucs won that game, but the two teams have gone in opposite directions since. While the Pirates have gone 1-5 since last Sunday, the Cards have won five of six, including a three-game series sweep of the Houston Astros and a decisive weekend series victory over the N.L. Central leading Cincinnati Reds. St. Louis has had one of the most powerful offenses in baseball all season long, with a +126 run differential on the season. It seems they are scoring runs almost at will, including this past week, when they’ve outscored their opponents in the past six games by a combined score of 42-22. And why shouldn’t they be the most potent offense right now? They have an incredibly well-balanced attack, despite the loss of Lance Berkman, who was recently sent to the minors for rehab work on August 24. Yadier Molina leads the team in average (.323), Carlos Beltran leads in homeruns (28), while Matt Holliday leads the club in RBI’s (89) and runs scored (82). And when you add names like Allen Craig, David Freese, and John Jay to the mix…wow. At times, this offense looks almost unstoppable. It presents quite the challenge for A.J. Burnett, James McDonald, and Wandy Rodriguez, as well as the Pirates’ bullpen over the next three days. If they’re not up to task, things could get ugly very quickly. This is a huge N.L. 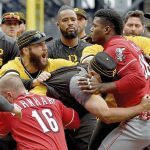 Central matchup, one that will shed some light on whether or not the Pirates are going to be a serious contender over the last month of the season, or if they will continue to spiral downward, bowing out of postseason relevance. Be sure to check back here for the latest recaps and reactions to each and every Pirates game from us, the Fans From The Stands!